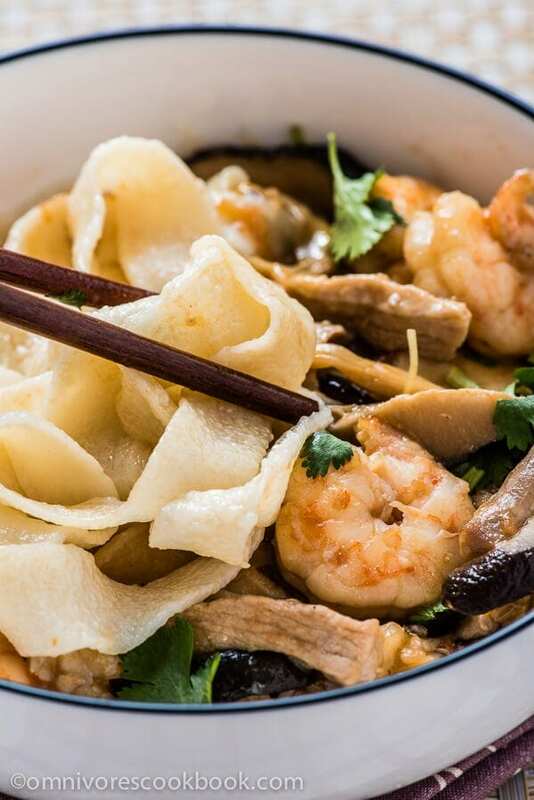 These freshly made hand-pulled noodles are springy and meaty, with a great mouthfeel that you’ll never get from dried noodles. 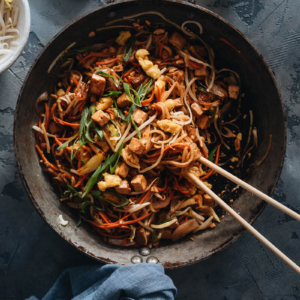 Learn all the secrets of hand-pulled noodles so you can easily make them at home without fail! Noodles are one of the most important components of Chinese food culture. Handmade noodles might be a rarity, and even a pricey proposition outside of China. However, in the domestic market, they are an everyday cheap comfort food. 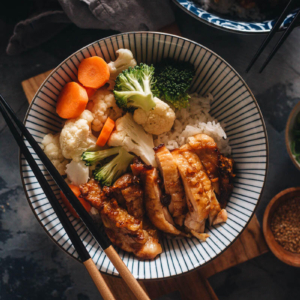 No matter whether ordering a hot bowl of noodles in a restaurant or purchasing freshly made noodles to cook at home, it is one of the cheapest ways to have a fast, fulfilling, and hearty one-dish meal. Even in expensive cities like Beijing, you can still spend 3 to 4 dollars to get a very decent big bowl of noodles in a restaurant. The price drops to 2 dollars per meal when you go to smaller cities. The finished dish is tailored to your taste. You can season it with whatever ingredients you prefer and add as many toppings as you like. 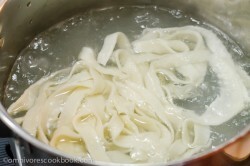 There are countless types of noodles in China and I will introduce you to the hand-pulled (拉面, la mian) variety first. It might sound daunting to make this type of noodle at home, especially if you’ve ever watched a noodle dance in China. But the truth is, hand-pulled noodles are one of the easiest handmade noodles for a beginner to make. This leads me back to one of my fun cooking experiences several years ago. Back in 2011, I was still quite bad at cooking and didn’t cook as much as I do now. One day, my boyfriend and I decided to try to make hand shaved noodles (刀削面, dao xiao mian). If you’re wondering what the hell that is, it’s a specialty from Shanxi province. To cook it, you need to make a block of very tough dough and use one hand to hold the dough and the other to use a special square-bladed knife to carve off thin pieces of dough directly into boiling water. Sometimes for the sake of performance, a chef will put the dough on his head and use both hands to slice noodles into the pot. It’s quite a scene, in a circus act kind of way. Long story short, we didn’t manage to get the dough right and it was too soft to slice. Since we didn’t want to waste it and the noodle sauce was ready, we started to pull the dough by hand and made our first bowl of hand-pulled noodles at home. You see what I did there? 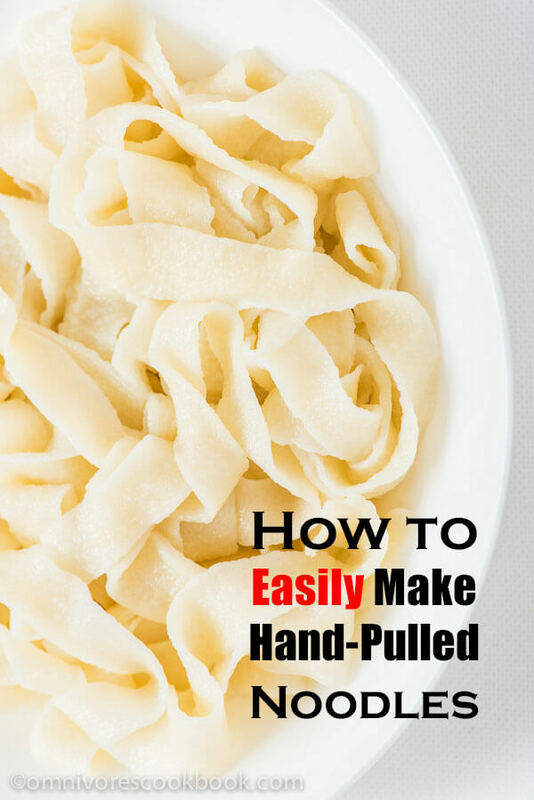 Even when you fail at making other types of noodles, you can still use the dough to make hand-pulled noodles, because they’re such a no brainer! Make a dough that is not too tough. Add the right amount of salt. Let the dough rest for enough time. That’s it! Done! I’m finished. OK, I’m kidding. Let me give you a more detailed explanation. The texture of the dough depends entirely on the ratio of the flour, water, and salt. To make the dough work, it has to be tough enough, so the noodles won’t break apart when you pull them. At the same time, the dough needs to be soft enough, so you can easily pull it into a thin piece. The salt adds springiness to the dough. If you add too much, the dough will be very difficult to pull. Conversely, the noodles will fall apart if you don’t add enough salt. On the other hand, the ratio of the flour, water, and salt in the dough for hand-pulled noodles is actually quite flexible. This means, even if you didn’t replicate exactly the same texture of dough in this recipe (especially if the dough is a bit drier), the dish won’t fail. This leads us to the most important factor, the amount of time you allow the dough to rest. Let me put this in an extreme way – if you let the dough rest long enough, almost ANY ratio of flour, water and salt will work. What I mean by “enough” here, is more than a day, perhaps even longer. The longer you let the dough rest, the smoother and tenderer its texture will become. This makes the dough easier for you to handle when preparing and cooking it. For example, if you find the dough too tough and difficult to pull, simply let it rest a few more hours. You’ll eventually get noodles out of it. I have tried different ratios to make this dish work, but I found that the ratio in the recipe below works best. It’s not too soft to knead and requires less resting time. Depending on your room temperature (particularly if it’s warmer than average), you can even use less resting time than prescribed here. But remember, the longer you let the dough rest, the easier you’ll have it, when it comes time to pull the noodles. Why should you trust this recipe? Here, I want to attribute this recipe to my grandpa’s housekeeper, Ms. Jiang. 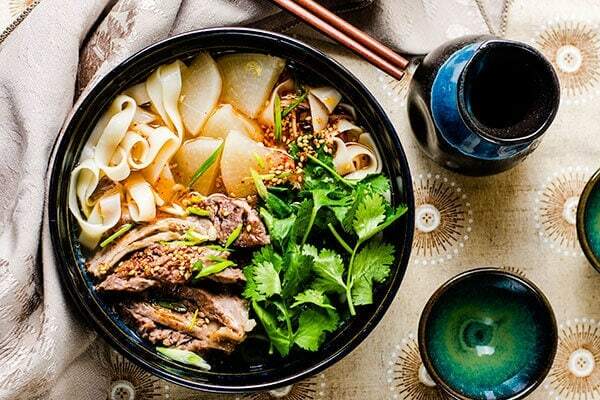 She grew up in and has lived in Gansu province, which is famous for its hand-pulled noodles (Lanzhou hand-pulled beef noodles, to be specific), for more than 30 years. She has been cooking and eating this noodle dish almost daily, until now. When I asked for the recipe, she was happy to teach me, although she never uses any measurements for it. I followed her instructions as closely as I could, and I tried cooking the noodles multiple times to test them out. Here, I created a short video to show you how easy it is to craft your own hand pulled noodles at home. If you like the video, don’t forget to check out my YouTube channel! I have a collection of cooking videos that walk you through the delicious recipes at Omnivore’s Cookbook. 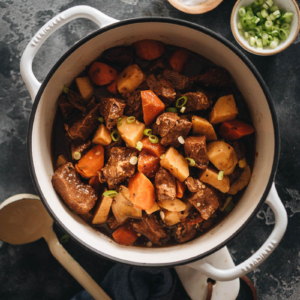 It is one of the fastest ways for you to get used to the techniques that are used in Chinese cooking! Combine flour and salt in a large bowl and mix well. Slowly blend in water and mix with a pair of chopsticks, until water is integrated with the flour and there is no dry flour left. 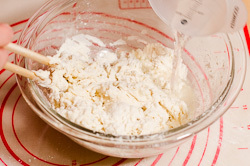 Dust both hands with dry flour, then start to knead by hand until dough forms. The dough should be quite soft and sticky. Dust a working surface with dry flour. Transfer the dough onto it and continue to knead until the surface turns smooth and the texture springy, 10 to 15 minutes. Dust hands and the working surface with extra flour whenever the dough starts to feel sticky during the process. Alternatively you can use a stand mixer to make the dough. 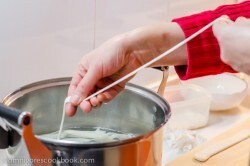 Attach the dough hook to the mixer, transfer the flour and the water into the bowl, and turn on low speed. Stop the mixer and scrape the flour from the bowl if needed. Mix until the dough becomes smooth and elastic, about 15 minutes. Dust a large bowl with dry flour. Transfer the dough to that bowl and cover the dough with a damp dish towel. Cover the bowl with a lid (or plastic wrap). Let the dough rest at room temperature for at least 2 hours (or store the dough in the fridge if you’re planning to use it the next day, after resting at room temperature). Dust the working surface and both hands with flour. Transfer the dough onto the working surface and knead it a few times. Divide the dough into 2 equal pieces, then again to make 4 pieces total. Knead each piece of dough by hand to shape a ball. Dust the working surface again. 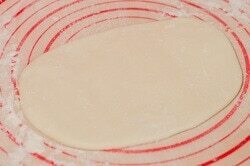 Take one piece of dough and press it into a round disc. Roll it with a rolling pin into a long and round sheet, about 5 to 6 millimeters (0.2 inches) thick. Roll out the rest of the dough pieces the same way. Use large bowls or plastic wrap to cover and seal the dough sheets, to keep them from drying out. Let rest for another 30 minutes to 1 hour. Right before making noodles, bring a medium sized pot of water to a roaring boil (very important). Work on the dough sheets one by one. You should cover the rest of the dough with a damp dish towel or plastic wrap. Slice the dough sheet into several strips, about 2 centimeters (0.8 inches) wide (or narrower if you want thinner noodles). Pull another 2 to 3 strips of dough and drop them into the boiling water. Cover the rest of the dough with a damp dish towel (see footnote). Boil the noodles until cooked through, 1 to 2 minutes. Transfer to a plate and set aside. Work on the rest of the dough in the same manner. You can use the noodles in any noodle soup or mix them with sauce. If you aren’t going to serve the noodles immediately, add a few drops of sesame oil onto them and mix by hand. You should always eat the noodles while they’re warm and fresh, because they will become sticky and turn into a solid mass once they cool off. Store leftover noodles in an air-tight container in the fridge for 1 to 2 days. To serve leftover noodles, place them in a colander so that you can easily dip them into a pot of boiling water. When you do this, use a pair of chopsticks to gently separate the noodles, and leave them in the water until warm. Heating them this way shouldn’t take more than 30 seconds. The noodles are very easy to cook through, so I suggest you cook them in small batches, until you’re familiar with the process. 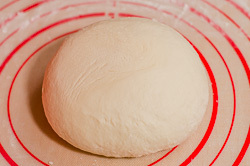 You should always cover the unused dough with a damp dish towel or plastic wrap, because it will dry out very fast. 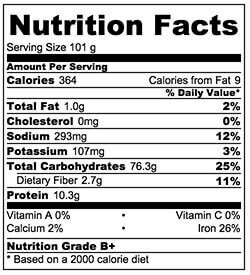 The nutrition facts are calculated based on 1 of the 4 servings generated from this recipe. The springy noodles are served with a rich beef broth, melt-in-your-mouth beef, tender radish and a splash of freshly made chili oil. My ultimate comfort food – the soup is cooked with a rich tomato base and chicken stock. You can add all sorts of leftover in this soup and have it ready in less than 30 minutes! This recipe uses garlic, peanut butter, soy sauce and chili oil to make a finger-licking sweet savory and spicy sauce. 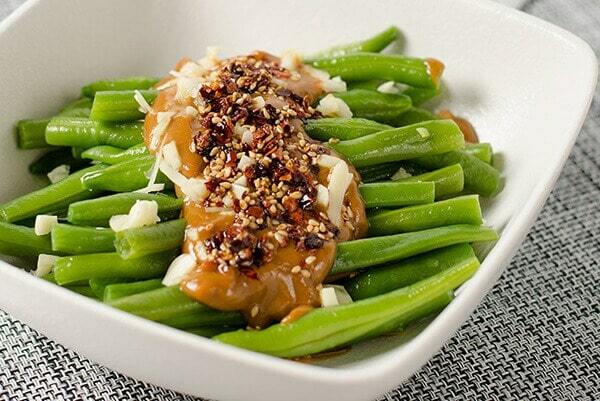 It seems like a perfect side dish, but the truth is, you can use the same sauce on the noodles too and it is YUMMY! A necessary ingredient in your pantry, it adds a nice kick to your dumpling, noodle and stir fried dishes. 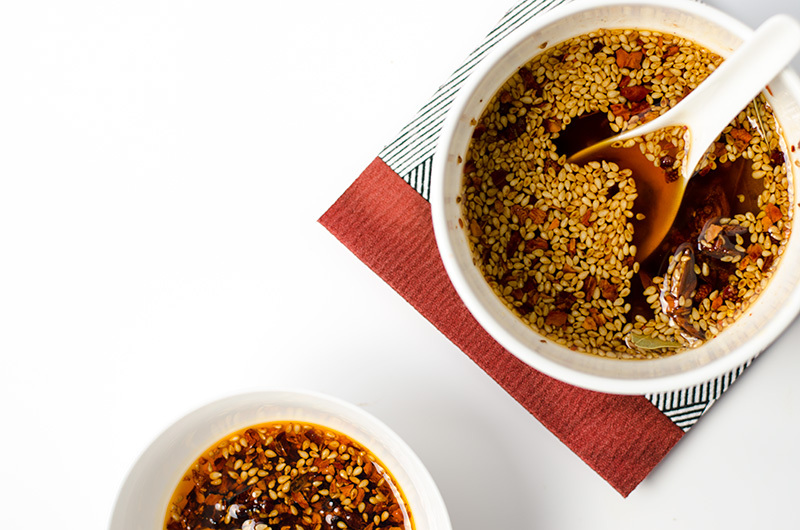 Try out the freshly cooked chili oil, you’ll never go back to the supermarket one again. Wow! 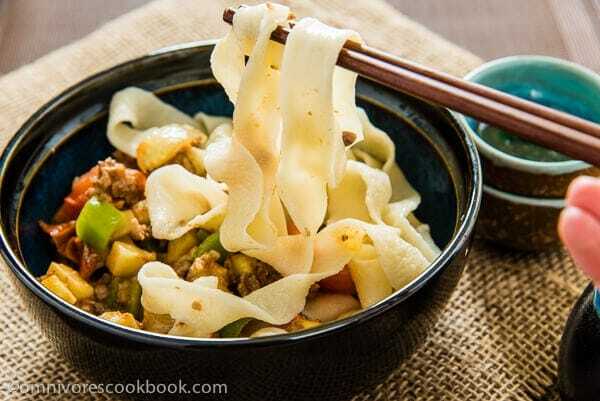 I love hand pulled noodles and these look delicious! Do you have any recipe recommendations for how to serve them? I love them with spicy sauces and in meaty soups. Do you recommend eating these cold at all? One of my favorite dishes is noodles served cold with spicy oils and other dressings. Also, what temperature do you recommend the water be at when adding it to the flour? Some recipes call for very cold/hot water, but I didn’t know if that mattered for this dough. Hi Rachelle, I’m so glad to hear you like hand pulled noodles! I have a new noodle soup recipe coming this Friday. It uses a beef broth with chili oil. I will drop you another note when the recipe is published. I also have a recipe that uses tomato and pork stock as broth. You can find it here. Sorry I forgot to specify about the water. You should use room temperature water in this one. Thanks for reminding me this and I will add this information into the recipe now! Awesome tutorial, Maggie. Thank you! Can’t wait to make my very own hand pulled noodles. This method is entirely new to me, Maggie!! I’m so intrigued. Thank you for going to so much trouble to show us all how to make these!! I love these! Your boyfriend and I ended up making hand-pulled noodles when I, too, failed to make a dough-block hearty enough for my noodle-knife a few years ago. The chicken-mushroom stew recipe you gave him to accompany it was phenomenal. Hey Patty, it’s interesting to hear that you came across the same situation 🙂 Also thank you for letting me know that the noodles go well with the chicken and mushroom stew. I never thought of this combination, but will definitely try out! 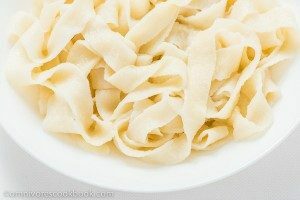 By the way, I’m still looking for a way to work out the tough dough to make these hand shaved noodles. Will let you know when I figure that secret out! Wow- who knew hand pulled noodles could be so simple! So much great info here; love the video too! I’m always in awe when I see hand pulled noodles being made and well done for being able to do this. I want to try this, but I would need someone right there to guide me. $3-$4 for a big bowl of noodles?! Try $7-$12 here; and that’s in “China town” where it’s supposedly cheaper. I think I can get like two spring rolls for $3.00. lol But this is really cool Maggie, and I had no idea it was so easy. Would this work using wheat flour? Wow– you make that look so easy! Homemade noodles are the best 🙂 And Asian noodle soups.. oh my! Hi Maggie! This recipe is great! I am from the Shanxi province, and my family loves hand-making our noodles. 🙂 So happy to see you like hand-made noodles too. The video is very helpful! I don’t know how I completely missed out on this recipe! WOW! Just wow! I agree that handmade noodles are much better than store bought! Totally need to give this a try some day! My first attempt failed. I chose the option to let the dough rise overnight in the fridge. This made the dough very firm and difficult to pull, even after bringing back to room temp. The second attempt was much better. I let the dough rise at room temp, which made the dough much more pliable. However, I couldn’t get the dough as thin as yours. Though elastic, the dough would lose it’s width and become thin noodles when stretched. I will experiment with a flatter dough cut into thicker strips next time. I should add that a roaring boil was essential to cooking the noodles. I started with a large pot that couldn’t hold a boil and I was left with a dissolved exterior. The roaring boil gave the noodles a chewy texture. Thanks again for the recipe. 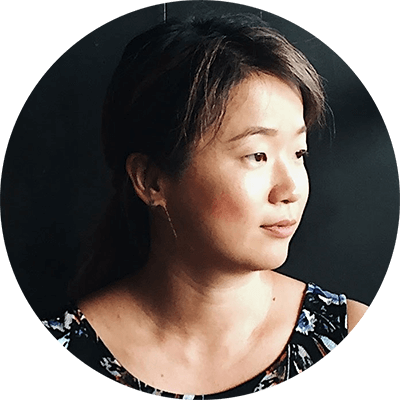 I really enjoy and appreciate your blog! Hi Leon, thanks so much for the feedback! These suggestions are super helpful. I didn’t explain it well, about storing the dough in the fridge. I was meant to say – let the dough to rest at room temperature first, and then transfer and store in the fridge if you won’t use it at the same day. The “roaring boil” description is very accurate. I have updated these two points in the recipes. Many many thanks for this input! To create wide noodles, you do need to cut them to wide strips. They do become thin when stretched. Have you tried to let the dough to rest a bit longer? 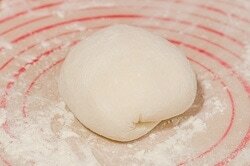 You should able to get thin dough, if you pull them slowly and gradually, from one end to another. Hii Maggie, I’m Yudi. I would like to make hand pulled noodles and vegetarian dishes by asian and chinese food recipes. I hope you will be pleased me to see and use your practiced recipes. I see your web give a step by step to cooking with detail. I’m so interested. Hi Yudi, I’m happy to hear you like my recipes and would like to try them out! Of course you can rewrite the recipe, as long as you use your own words. Let me know how the cooking goes 🙂 Have a nice day! I made these last night and wow, they were amazing. Your recipe and instructions are perfect. I’m hooked. There is a Chinese restaurant local to me that makes the most amazing pork belly noodle soup with hand pulled noodles and I’d eat that every day if I could so it was the best feeling to be able to make them at home! Hi Meg, I’m so happy to hear you tried this recipe and liked it! I always wonder people are so busy these days, so they probably don’t have time to make noodles from scratch. The fresh ones taste really different don’t they? 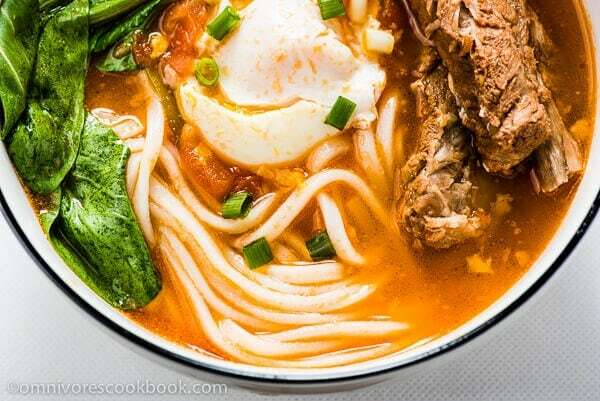 I have a pork belly recipe here: https://omnivorescookbook.com/recipes/authentic-pork-belly-bun I believe the broth and the pork will be a nice addition to these noodles 🙂 I want to try the pork belly noodle soup too. It sounds so delicious! Are you Maggie Vermillion (Zhu, Chu)? My wifeepoo is that red color Chu. Anyhow, I have tried noodles with Canadian wheat flour and even after aging, still would not “pull”. This is probably due to the high protein content?! I read that cake flour is the better choice, something I am unable to obtain here. Any suggestions? As to ribbon dance noodles, I saw one performed in Chengde, but this young man was not merely athletic, he was artistic enough to head a ballet group! But I did not bring a camera to the restaurant, darn! Hi Frank, I’m Maggie Zhu. Yep, the color red. I’m sorry to hear the recipe didn’t work out for you. How long did you rest the dough? It always takes longer if your room is cold. To answer your question about the flour type, actually the flour with higher gluten content works better. We never used cake flour to make these noodles. The normal wheat flour (I use all purpose one) should work. The only solution I can think of, it’s to let the dough rest longer. It will get tenderer over the time, and become able to pull. This is not the type of the noodle for the noodle dance. To make the dance noodles, you need to blend alkaline and oil into the dough, so it becomes resilient and holds together when being pulled faster (similar type of dough to Japanese ramen). It’s a bit trouble for everyday cooking, so I posted this version instead. Hi Diane, I dough you can find the fresh pre-made dough. The best way is to using a mixer (I use my KitchenAid) to knead the dough. You simply need to add the three ingredients and turn on the machine. The dough will be ready in 15 minutes. I have never tried making my own noodles. I will have to try it sometime. You make it look easy. You never cease to amaze me dear Maggie…I must try this. My mom always made her own noodles (pasta) and there’s nothing to compare as to homemade. We need to open a Asian food truck! Yay! Keep up the good work my friend. I’m glad to hear you decided to try this out. Happy cooking and have a wonderful week! Hi! These look great and easy to try. Do they work in a stir-fry? Perhaps with some chilli oil, vinegar, soy and veggies? Or would you recommend that one eat them only in a broth? Would stir-frying ruin the texture? The noodles are a bit more fragile than packaged noodles, so I usually don’t use them in the stir fry. You can definitely try stir fry with them, but only add them add the end and give some gentle tosses. For the vinegar, soy sauce, chili oil, and veggies combo you mentioned, you can actually make a great noodle with hot sauce (like this https://omnivorescookbook.com/biang-biang-noodles). It is almost like making a stir fry, but you mix the sauce in your bowl instead of in the pan. Hey Maggie. What brand and kind of flour did you use? My dough never quite seems as smooth as the images, and I wonder if it’s from my elevation? I’m at 3200 feet. Ken is a noodle master. Maybe he has a perfect solution on making pulled noodles at above sea level. Thanks for the recipe. Is it possible to store the noodles before cooking? Can I pull them and then coat them in cornstarch or something and then put them in the fridge? What is the best way to store them so I can cook them in the future? Hi Lucy, the best way to prepare ahead and cook later is to store the sliced noodle dough. After the dough is rested twice, you can cut them to small pieces and shape into balls, rub with a thin layer of vegetable oil (so they won’t stick together), then store in a airtight container in the fridge. The dough will hold for a day. 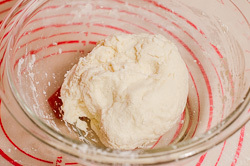 If you plan to store longer, freeze the dough and thaw them in the fridge before using. 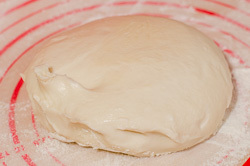 Before cooking, return the dough to room temperature. Roll out and let some more time before pulling. Chinese restaurants usually use this method to prep the dough a day ahead. Thanks for this recipe! I am wondering what would happen if you were to change the initial resting time? Namely, how would resting it for less time change the resulting noodles? Can you explain the chemical process here? Hi Shanna, the resting time will allow the gluten to relax completely, so the dough becomes smoother and will be easier to pull. Yes you can shorten the initial resting time to 40 minutes, knead it the second time, and let the dough to rest again. The problem of short resting time will result in a very elastic dough that is difficult to pull. In this case, try to roll the dough out a bit thinner and cut to narrower noodles, it will be much easier to pull. I hope the noodles come out well and you won’t be starving! Great recipe. I’ve made these a couple of times and have enjoyed them thoroughly. I was wondering if you’d be able to provide advice on how to gain more control over the tenderness and level of chew the noodles have. Basically, what different steps would I need to take to give the noodles more bite, or conversely, make them silkier. Add more salt? Knead for longer? Rest overnight? Thanks in advance. Hi Paul, great question! To give the noodles a chewy texture, you can use less water and some salt. Although it might makes the dough a bit difficult to pull. In China street vendor adds alkaline to the dough (it is also the way Japanese restaurant makes ramen), so the dough becomes smooth and elastic, with a yellow color and easier to pull. For the alkaline method, I need to do a bit more experiment to figure out a recipe. 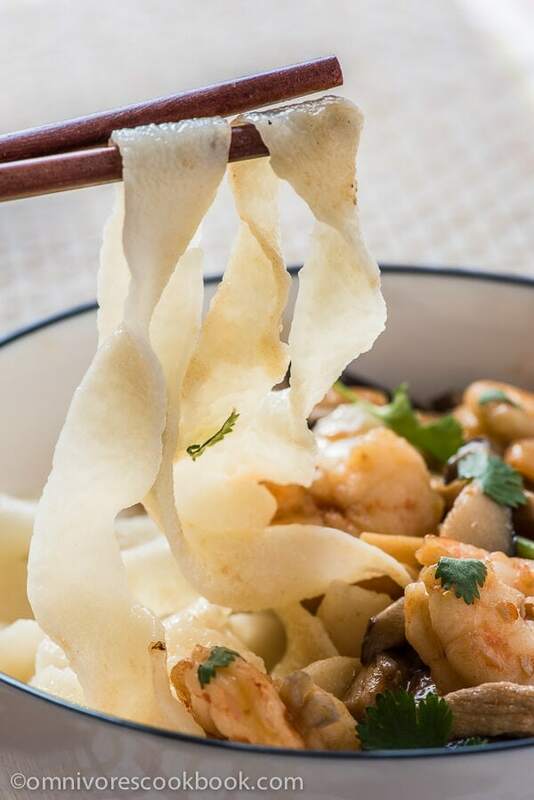 Meantime, you can refer to this post: https://omnivorescookbook.com/ding-ding-chao-mian It shows a different noodle in this recipe, but you can use this dough to make hand pulled noodles as well. The result will be a chewier noodle. To make a silkier dough, use 1 part of all-purpose flour and 1 part pastry flour if you live in the US (the protein ratio of this blend will be similar to Chinese all-purpose flour). So the noodle will be tender by following this recipe. Hi Maggie, can I premade and roll out the noodle sheets first and store them for later use? if it is possible, how do I store them ? Can i stack them together? WIll they stick in between the sheets? Hi Nicholas, yes you can prepare the dough ahead. I found the easily way is to store the small round dough balls. You can grease them with vegetable oil and save them on a tray with plastic cover, so they don’t stick together. Store in the fridge, and return to room temperature before pulling. When you’re ready to cook, you can roll them out and pull the noodles directly. The noodles will be easy to stretch after a long resting time. Thanks for recipe. My first time making noodles … it worked out well. I left dough over night in the fridge. I’m now trying to see if I can freeze these raw noodles (sprinkled with flour) rather then dough. Maggie, i am really sorry to ask you about this, but i really need to know what is the alkaline water and how to make it ? Because not so easy for me to found it on my place. I got fail when i use an egg, so I searching on the internet and i found they don’t use any of egg. But the dough so easily stretched…. When i start to pull the dough is not stronger and tear apart. Mi Miqhael, I’m not sure which is the recipe you’re talking about, so I’m afraid I cannot answer your question. My recipe only requires flour, water, and salt. And it makes a dough that is easy to stretch. I adore hand-pulled noodles, but was always put off by watching all that twisting, pulling and table-banging. 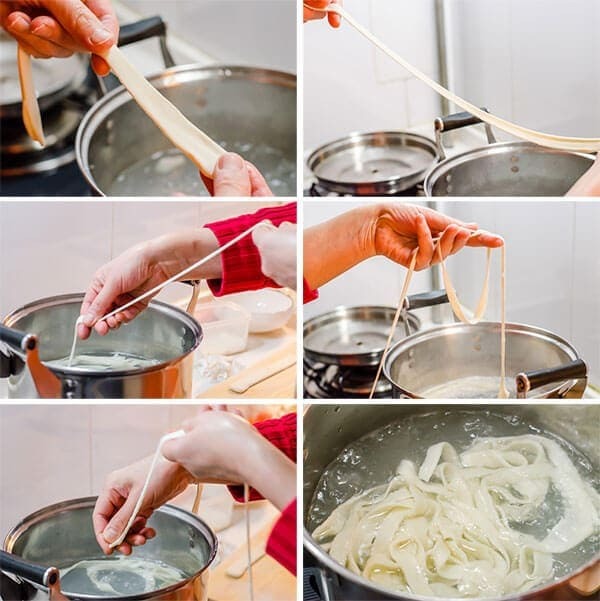 So glad I took the time to watch your video and learn this very simple method for pulling noodles. Perfect on the first try. Thank you! I was an ex-pat in China from 2001 to 2005, and in Xian, they made them. It was quite the show, and I loved eating them. Maggie’s method was much less time consuming and closer to the method of noodle making of my Danish/ North German heritage. Forgot to rate the recipe. I was an ex-pat in your country during the first half of the last decade, and I came to appreciate a lot of home-cooking like Lions Heads and variations of these noodles. The chefs of China have taken sweet corn and elevated it to whole new levels from sweet corn ice cream to sweet corn tomato soup. Although my office was based in Shanghai, I spent most of my first year in Anhui, my second year was spent operating from Zhejiang, WenZhou, and from there, I was traveling around the south half of the province in LiShui, Taizhou, Jinhua, and QuZhou. My third and fourth years had me working in Shaanxi, Beijing, Hubei, Hunan, and all over Guangdong. In Zhejiang, they had bread-like cakes which they sold has street food, and they were cheap. In Wenzhou, the style tended to be the size of a dinner plate and about 1/2 inch thick while in Jinhua, they were very thin and about the size of a saucer. I am not sure what the ingredients of the dough were exactly, but I suspect that it was similar to your noodle recipe here. The dough would be a little stiffer of course, but it was still elastic. In Wenzhou, I watched the lady rolling out her dough and her husband chopping up fat and some green vegetable. She would then take a scoop of this mixture, put it in the center dough, fold the dough around it, and roll it out flat again, much as you do with your red bean /sticky rice cakes. In Jinhua, they pan-fried them as they were very thin, and I don’t recall them using any fat, but in Wenzhou, they had baked these in pots set on top of the charcoal heated kiln-like ovens. They had cost 5 yuan, and I ate these quite a bit. Thank you for this great recipe! It is the easiest pulled-noodle recipes I have tried and so delicious! Do you think this will work with egg noodles? Hi Maggie – Egg noodles worked!! It worked the way you pulled it, and it also worked when I hold the two ends on my two hands and bounce the noodle up and down, hitting the counter when it came down. I got 5-6 feet long noodles! Amazing! I like egg noodles because they do not get mushy in soups. Thanks again for your recipe and video, I am very thankful to you! Hope you enjoy the rest of the weekend! This recipe is fantastic! I first tried hand-pulled noodles after purchasing a Groupon a few years back. I was amazed by the process and how amazing fresh noodles taste. I just finished making my first batch of hand-pulled noodles from your recipe… I even messed up in the beginning by adding too much water initially. Nevertheless, the recipe was so accommodating. I was able to completely capture the taste I have been longing for since the 1st time I tried them. Thank you so much for sharing this recipe and being encouraging to say this is easy and you can do it too.. There are other recipes online that tell you it’s really hard to make hand-pulled noodles. I am grateful to have found your page. Thank you so much!!!! Hello! Thank you fir posting this recipe. I am very interested in achieving some level of hand pulled noodle mastery. This recipe came out very stiff and even after hours of rest the dough still had too much retraction. I kneaded by hand 15 minutes, and followed the rest of the instructions. Do you have a recipe that would allow me to twist and pull the noodles by hand like on you tube, where the chef makes many noodles simultaneously? I have been unable to find a suitable recipe that would allow me to try that technique. They seem to use oil, with a much softer dough. Thank you and all the best! Helo, i love this noodle(la mian). For 4 years i have try to make hand pulled Noodles. But i dont have sucess. Please help me about the secret or ability to make It! Whats amount of glúten os necessari in flour? Wheat flour? Use baking soda? Normal or baked? Maggie, thank you for the hand pulled noodle recipe. My dough was very soft and easy to pull after resting for 4 hours. I think it was stickier than your dough and when I pulled it and cooked it the noodles were very tough and chewey, moreso than the hand pulled noodles I’ve had in restaurants. I kept cooking the noodles for shorter amounts of time (from 2 minutes down to about 30 seconds) and they were all tough. Do you know why the dough would be very soft before cooking and then the noodles too tough after? I watched a chef in Shanghai make noodles, the fine round ones. He stretched the ball of dough to arms length, folded over, stretched between his thumbs, repeat, repeat., etc. They turned out to be about 3mm diameter. That’s what I’m going for. Hi! I made a half batch of dough today and rolled, pulled, and cooked just a quarter of the dough tonight. I cut it pretty thin and will try wider next time, but it was a good texture. I’d just tried a recipe with baked baking soda in it, 1tsp to 220g flour and 2eggs, and the bitter bicarb taste was overpowering. Couldn’t eat it. I did kind of mix up the flours and used 145g all purpose and 65g bread flour, just to see. I was pleased with the stretchiness of the dough so I think it was a success. I noticed Daniel posted he used White Lily flour. That is mainly used in the US south for light biscuits and cakes, and is made from a soft winter wheat that is not going to be great for kneaded breads or noodles. WL does make a bread flour but I never see it in stores. Not sure whether he had the self-raising or traditional. When I was working in WenZhou and around ZheJiang in general, there were always little food stalls run mostly by Hui who had the shaved noodles, but they were never as long as shown in a You Tube video for Dao Xiao Mian. They were usually about an inch or two long, they were boiled for a little while, but then they were tossed in wok, where they were cooked some more with a light sauce, chopped lamb or beef, and chili flakes that had a pleasant spice which made the palate dance. I ate a lot from those, but I also would sometimes buy a sort of bread made in little stalls that varied from city to city. In WenZhou, the cooks at the hotel I was staying at would purposefully cook orders for people who were seated and ordered long after me, so it was either go to bed hungry or try to find food outside. I simply could not stomach KFC which the waitress in tears said was still open when she saw what the kitchen was doing to me. That’s how I came across a little place with a bunch of round ovens heated by big charcoal pellets. All this lady and her husband did was make these breads which the dough was rolled out, chopped fat and green vegetable was put in, and it was folded over, rolled out again, and baked. They were about a half inch thick and the size of dinner plates. I think it must have brought some joy to these people when this Meiguoren was visiting their stall more than once a week, because they always greeted me with a smile and asked me to come sit with them for a little while. It brought me much joy too. In Jinhua, there was a variation of this bread, but it was thinner and the size of a saucer. There was no fat in it.